The HMS Spelling Bee was held on Thursday, January 11, 2018. We are proud of all of the students that entered the HMS Spelling Bee and would like to congratulate our winners. First place winner was Brandy McGilvary. Second place was Jaxson Henrich and third place was Zoey Lawrence. 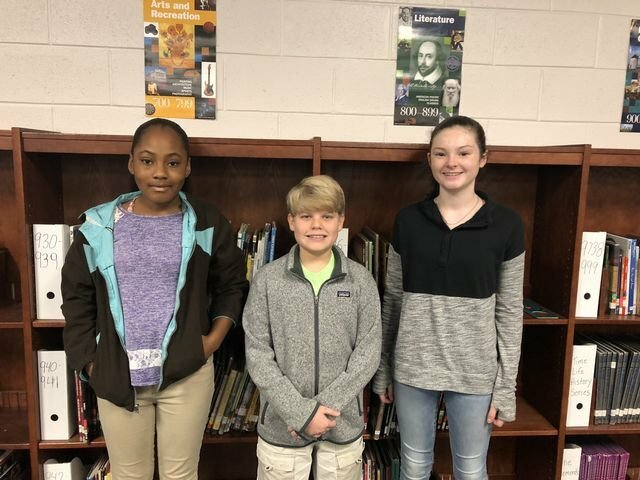 The Henry County Spelling Bee will be held in the HMS library on Feb. 9th and Brandy McGilvary will be representing HMS. We wish her the best of luck in the competition.